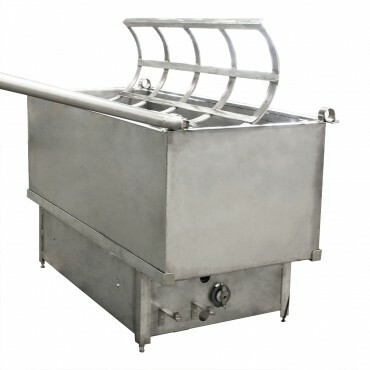 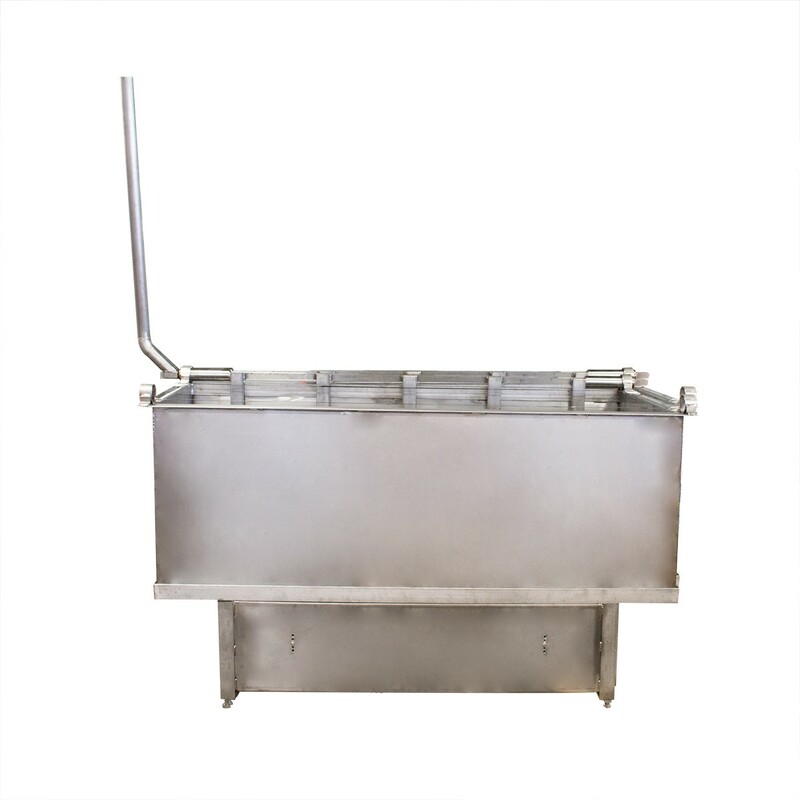 Our hog scalders are available in gas or steam heat and are constructed of 12 gauge sheet steel and mounted on a recessed base. Four pipe collar bearings permit mounting of throw out cradle on either side of tank. 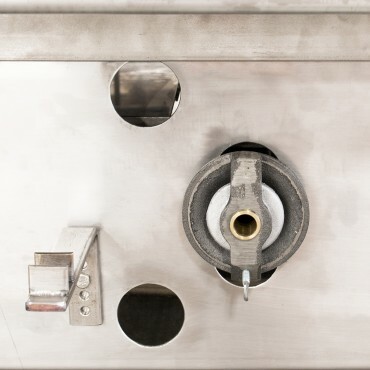 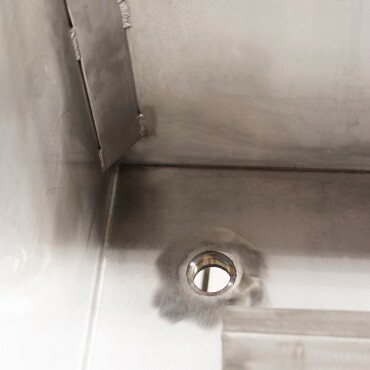 Gas tanks are equipped with a pilot light and 100% safety shut off pilot stat and must be vented to the outside.